**Unfortunately, at this time, PetConnect Rescue is unable to take any owner surrenders. We will re-evaluate this decision once more resources become available. 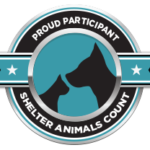 PetConnect Rescue receives many inquiries from people who want to surrender their cats or dogs. While we would like to be able to help, volunteer rescue organizations such as ours cannot take in all of these animals. We have a limited budget and small number of available foster homes to care for these animals until homes are found. Our first priority is to help rescue animals who are in impending danger and have already found themselves in a high-kill shelter. Why are you giving up the pet? Any aggression issues - food, people, other animals? How is your pet with dogs? With cats? With kids? How much exercise does your pet get per day? Any health issues? Are they on vaccines? Does your dog let you take food/treats/toys away from him/her? Is your dog completely house-trained? How many hours each day on average has your dog been crated? How is your dog walking on a leash? Does your dog have any behavioral issues like separation anxiety or phobias? Does your dog know basic commands like "sit", "stay", "come", "down"? Have you ever taken an obedience course with your dog? What's your dog's energy level? Does your cat always use the litter box?